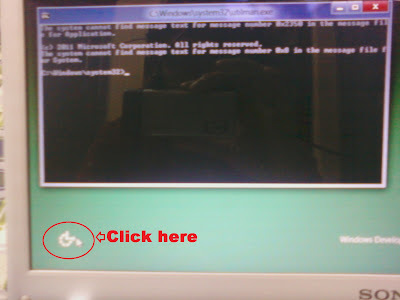 How To Hack Windows 8 Admin Password? Step 4. Rename "Utilman.exe" file to "Utilman1.exe"
Step 5. Now rename "cmd.exe" file to "Utilman.exe"
here your new username is "cyberkey" and its password is "ck"
Step 12.Restart your pc, and login with your new user here its "cyberkey" , give the password "ck". Step 11.But that's not end, your PC is to totally correct , to make it correct again boot with your Linux cd and go to C:\Windows\System32 folder , now rename "Utilman.exe" to "cmd.exe" and now rename "Utilman1.exe" to "Utilman.exe". That's End.If you like it the share it. Windows 8 password lost I also met before. With the recommendation I used the Ophcrack. But it is not helpful for me. So I used the reset software, Windows Password Recovery Tool 3.0, I completed my Windows 8 password recovery quickly and my data was safe all. 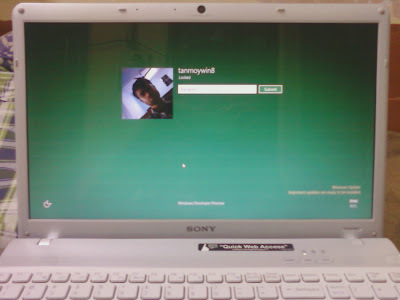 A few days ago, I had met the headache things that I had forgotten Windows login password. The login screen rejected my passwords. I was frustrated because there was very important data on my disk and I couldn’t reinstall the OS. …………. However, I fortunately got to know the PCUnlocker utility, which is a professional windows password recovery tool for us to reset windows 8 password instantly yet no data loss. Actually to say, to reset or hack Windows 8 password you can consider Anmosoft Windows Password Reset (http://www.resetwindowspassword.com ), which is reset software. It can help you reset only 5 minutes, quicker that your method. Windows Login Recovery is also a great program. It works perfectly on any kinds of laptop and desktop Windows 8, such as Dell, hp, Acer, Toshiba, Lenovo, Sony, Samsung, etc. And you don't need to worry about your data security.